There is no better live, interactive opportunity for youth inventors and entrepreneurs to pitch their products than the Michigan Invention Convention! 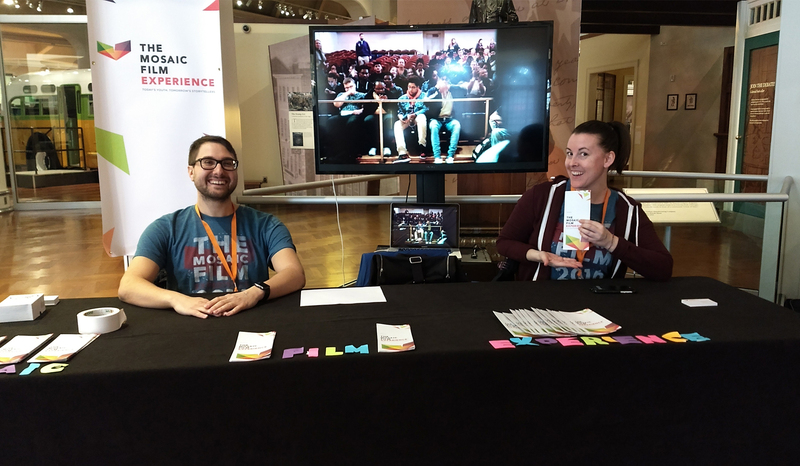 Mosaic Film Experience partnered with the 2018 Michigan Invention Convention, which was hosted by the Henry Ford Museum, on March 19. We spent the day hosting a booth and interacting with students. 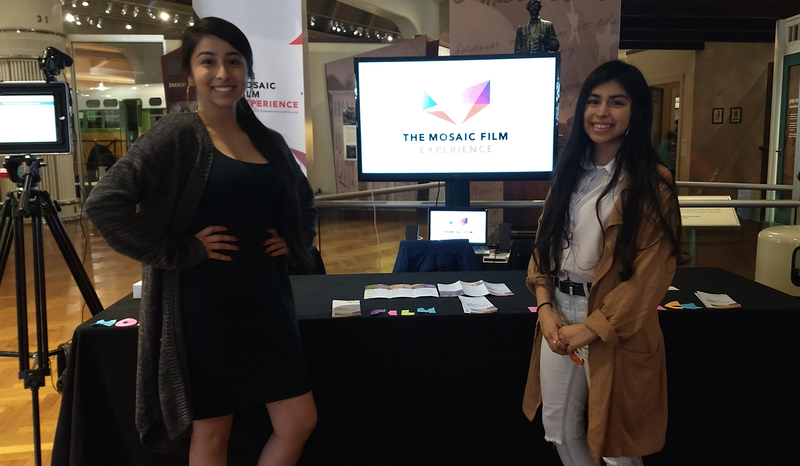 Mosaic Mobile winner Mariah Barrera’s film was showcased at the booth and she talked with students about her work. 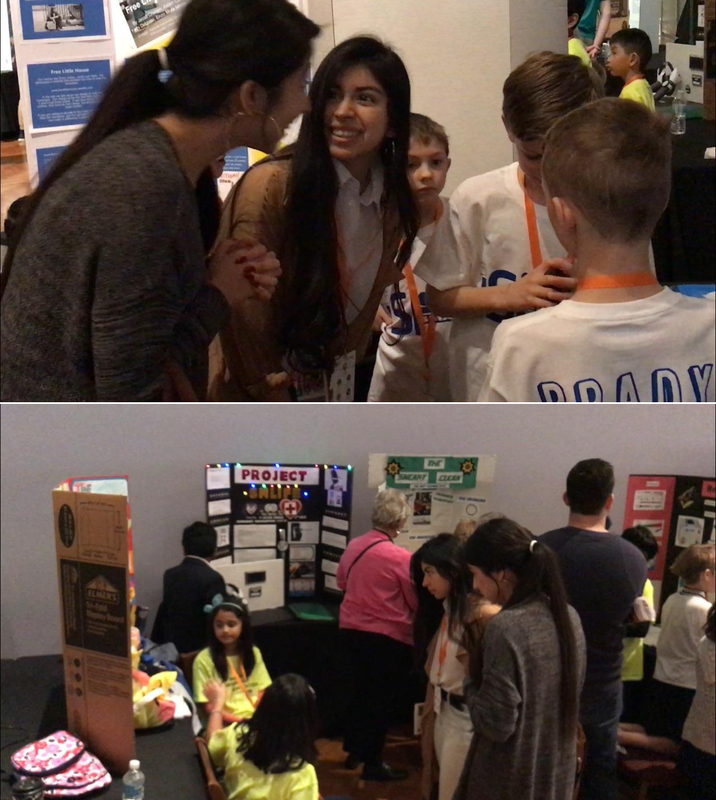 Mariah also served as a peer judge for the Michigan Invention Convention pitch competition, handing out pins to the inventors she found to be the most creative and innovative. The rest of the day included presentations on intellectual property and patent rights and live coding by Black Girls Code Detroit chapter. Attendees also had the opportunity to experience a museum scavenger hunt and get connected with some of Michigan’s current innovators, educators, and entrepreneurs. The fun-filled day was capped with an awards presentation. The Michigan Invention Convention provides a space for the Michigan STEM community to celebrate and be inspired by inventors and entrepreneurs of all ages, backgrounds, and disciplines. From our experience, they did that well!